How an unexpected word can be a delightful surprise and make business writing come alive. Celandine. The word pops into my head as I cycle past a clutch of small yellow flowers in the undergrowth beside a familiar track. My brain has plucked a rarely used word from the depths of my memory. A word from I know from Flower Fairy books and trips to the park with my Nanna, who seemed to know the name of every plant and tree there was. I roll it round in my mouth and say it out loud. It sounds like springtime. 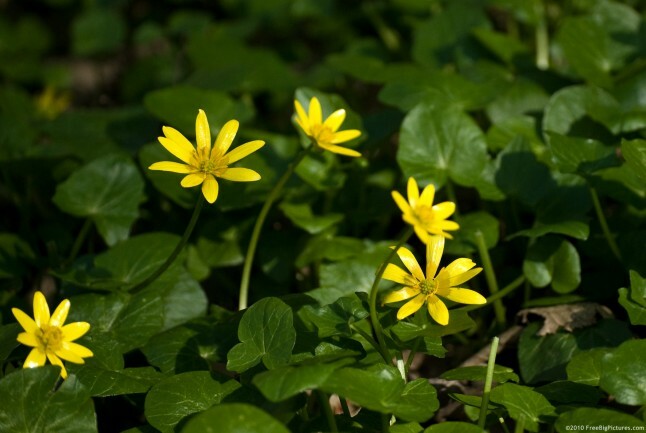 When I look it up later, I discover that celandines are associated with the return of the swallows and that the lesser version with its heart shaped leaves was much loved by Wordsworth. It’s an uncommon word. In my business writing I’m on the watch out for these. Usually they are pieces of jargon or commercial terms that just don’t sound like something our customers would use in their everyday conversation. So I have to find an alternative, a different way of explaining the idea I want to convey using clear and natural terms. But, as I was reminded recently, clear doesn’t mean the same as mundane. I believe that sometimes, even in business writing, it’s good to have a word that surprises you. In my writing workshops, I often ask people for their favourite word. Some choose a word like ‘holiday’, which is popular by association; others choose words which sound great or feel nice in your mouth when you say them, like ‘murmur’ or ‘hullaballoo’. One thing they all have in common is that they naturally smile as they say them. An unexpected word can be a delight. While I think it unlikely I’ll find a place for ‘celandine’ in the next marketing email that I write, I’ll continue to look for opportunities to use words like it that put a smile in your mind.